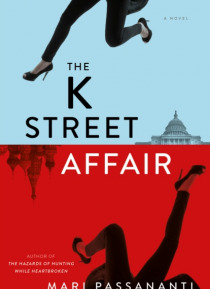 What if a massive corporation, one with political ties on both sides of the Atlantic, decided to start a war?Hours after a crippling attack rocks Washington, D.C., Lena Mancuso, a talented young associate at one of the country's best law firms, finds federal agents at her door, bearing unbelievable news. Lena's clients may have financed the murder of hundreds of civilians. The FBI wants Lena's i… nsider access to spy on her firm's high-profile roster of international clients, whose ranks include a disgraced K Street lobbyist, a flamboyant Russian oil baron and the future Saudi king - unlikely bedfellows linked by common interests in a massive multinational corporation with lofty but sinister goals: control of the world oil markets and a takeover of the United States government. Helping the FBI means Lena will endanger herself and everyone she loves, but refusing them feels unthinkable. Armed with a mix of smarts, intuition and grit she never knew she possessed, Lena will risk everything in a race to stop a catastrophic chain of events.